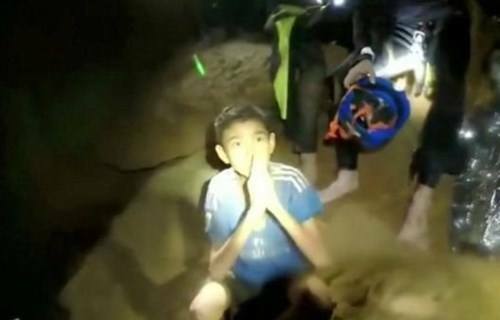 A group of 12 teen boys and their 25-year-old football (soccer) coach went missing on Saturday and are believed to be trapped in a flooded cave complex in northern Thailand. The caves span about 10 kilometres under a mountain. Approximately 1,000 people are working on the rescue mission, including Navy SEAL divers and volunteers. Attempts to drain water from the caves have been hampered due to heavy rainfall in the area. Relatives cling to hope knowing that the boys, who range in age from 11–16, are strong and had food with them and probably have access to water. The boys have also been in the cave complex several times before. The caves are off limits at this time of year due to the dangers of flooding.